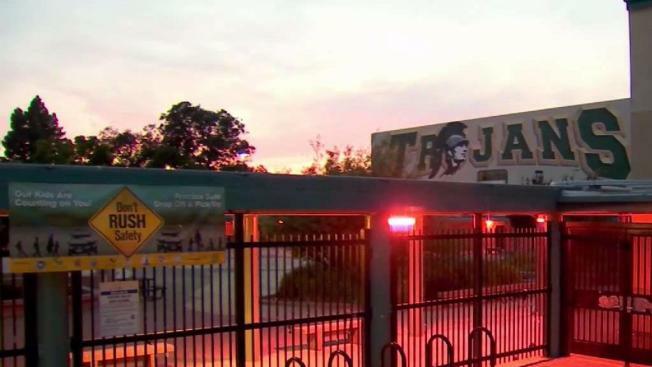 For the second time in roughly 48 hours, racist graffiti targeting African American students cropped up on the campus of Castro Valley High School Friday. The N-word has been scrawled across the East Bay campus in at least three different locations recently, prompting students to condemn the act and a "deeply troubled" principal to speak out against the bigoted behavior. "It is important that each of our students understand that using hate speech in any capacity is wrong," Principal Blaine C. Torpey wrote in a message to the school community. "Hate speech and racist language destroy the fabric of our community." Seniors at the school say a small contingent of students is known for displaying racist symbols and using racist speech against people of color. "There are kids here who are racist, for sure," senior Marco Macchiavello said. "It just makes me kind of sad to know that there's kids like this in our school." Fellow senior Robert Terhell added that such behavior cannot be tolerated. "I don't like that it's at my school," he said. The school and the Alameda County Sheriff's Office are investigating the incident. Any student with information is asked to come forward. School officials are also encouraging students to seek support from school counselors or administrators if need be.